The Great Occupying of Baytul-Atiq, the Most Ancient House of Mankind, the Great Gathering at the Baytullah - the House Dedicated to the Almighty God has begun. At the moment, millions of members from human family have come to the sacred ground of Mecca to begin Hajj or the Muslim annual pilgrimage which starts on Friday (4th November 2011), peaking on Saturday when all pilgrims assemble in the Arafat plain outside Mecca, and end with Eid al-Adha, or the Feast of Sacrifice, which will be celebrated on Sunday (6th November 2011) or Monday in some countries. 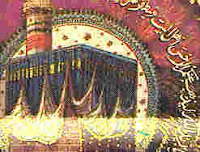 Hajj is historically connected to the memory of Abraham and his spiritual journey. Habib Muhammad al-Saqqaf speaking on the status of Hajj, mentions a tradition: The pilgrimage and the sacrifice, and the turning of the worshipers to God, and their sitting and standing on one plain, supplicating to Him, asking Him and making intention for Him, and Glorious God is He, proclaims to the angels about this, and Allah says: "O My angels, look at these! They have come to Me having made a great effort. Bear witness that I have forgiven them, and I have allowed their intercession in forgiveness for whom they will." An estimated 2.5 million pilgrims are gathering in Mecca this year, transforming Kaaba as the world's most active spiritual energy center. Because of billions of Muslims praying every day turning towards this single center, a unifying symbol of God's oneness and oneness of human family, Kaaba, even when its not the time of Hajj - remains as the most spiritually active point on the planet. During Hajj this heightens to great degree because of intensity of devotion and ceaseless remembrance that occurs around Kaaba, the most ancient House of Devotion dedicated to the Divine. Abraham constructed this building, revealed it as a place for the Remembrance of Allah - as an outward example. Wherever those with spotless pure hearts resplendent with Allah congregate - that is the Kaaba Wherever everyone gathers in unity - that is the Kaaba. Any place Satan cannot approach - that is the Kaaba. Where the purity and power of Allah intermingle - that is the Kaaba. Where beginning is now, and ever shall be meet - that is the Kaaba. The place where you find your unity with Allah - that is the Kaaba. The place where our prayers unites with Allah that is the Kaaba. - Bawa Muhaiyaddeen. Pilgrimage to Mecca is often seen as the ultimate journey undertaken on earth, symbolizing the final journey of man to his Creator. Thus those who have performed the pilgrimage returns with great transformation of their mind, heart and soul. Many come back with remarkable experiences during this extra ordinary pilgrimage which is maintained in the footstep of ancient spiritual ancestors of mankind. The many sites of the Hajj are greatly connected to the history of mankind. It is believed that Kaaba was constructed by Adam, the first man, was reconstructed by Abraham. The plain of Arafat where everyone gathers is the same plain where Adam and Eve re-united after they found themselves on earth, separated from each other. Just as every spiritual experience is very personal and unveils its beauty and truth to individual hearts in unique way, so it is with the experience of the journey for Hajj. The following text is a personal sharing of Hajj experience of Shaykh Nur al-Anwar al-Jerrahi, a modern American Dervish and Sufi Initiate, who was also known as Lex Hixon. The personality of Lex Hixon was extra-ordinary. He was an accomplished author, poet, and spiritual teacher. He practiced and held membership in several of the world's major great religious traditions, and documented his spiritual explorations in nine books and many articles and teachings given to various groups. His conviction that all of the great religions are true - found expression in his works; this idea was sparked by his study of the life and teachings of Sri Ramakrishna, who gave these radical teachings in 19th century Calcutta. It became a passionate conviction for Hixon, and he made his life a witness to this belief by fully immersing himself in multiple religious practices and studies. This was not a research project but an act of faith. He traveled the Hindu Path, Way of the Shamans, the Buddhist Path, the Zen tradition. He simultaneously remained involved in various religions, or as he called them, "parallel sacred worlds". 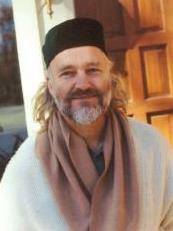 His experience of being "orthodox in five different spiritual traditions" produced a unique philosophy, a "theory of relativity for religions". He touched thousands of lives with his warm, joyful manner of teaching, celebrating, and encouraging spiritual seekers of all kinds. About him Allen Ginsberg said, "Lex Hixon was a pioneer in the spiritual renaisssance in America over the last four decades." 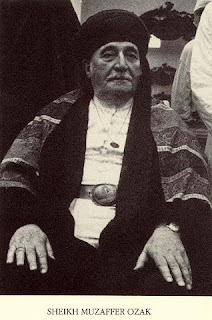 Eventually Lex Hixon found his home in Islam and being a natural mystic, the Sufi Path was his natural water in which he could swim joyously, and it nourished his profound yearning for the Divine. In the year 1980, Lex Hixon performed his pilgrimage to Mecca with his own Sufi Master, Sheikh Muzaffer Ozak al-Jerrahi, may God bless them both. 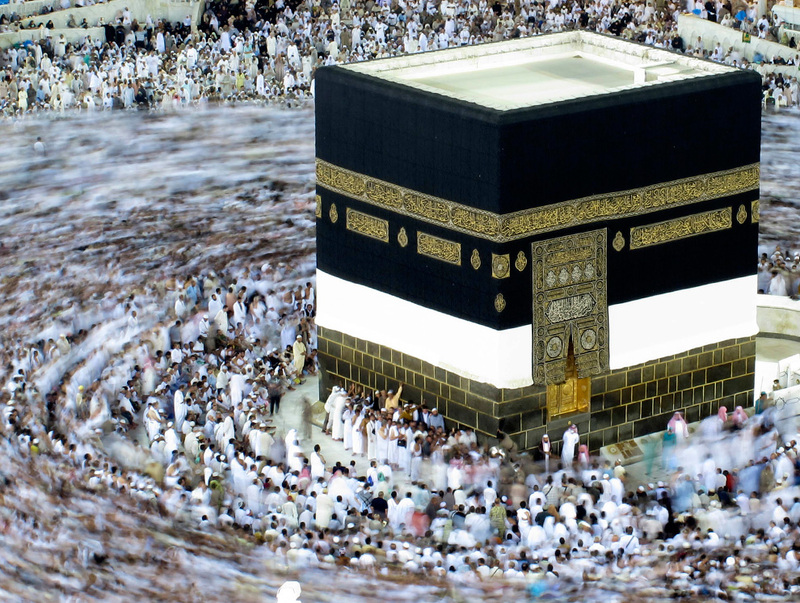 In the book Heart of the Koran, Lex Hixon shares his beautiful experience of the Hajj which is shared here. In keeping with the mysterious way that spiritual experience progresses, soon after I had completed the first draft of this book (Heart of the Koran), I was blessed to make the tradition hajj of Islam - the pilgrimage to Mecca to circumbulate the Holy Kabah, the symbolic earthly focus of the Divine Presence and center of spiritual power and inspiration for the Islamic World. Sheikh Muzaffer’s party of Turkish and American dervishes traveled from New York City to Saudi Arabia, where some three million Muslim pilgrimage from almost every nation on the planet gather during a single week. By the will of Allah, this potent sacrament of pilgrimage into the desert of mystery and power has made easy for us, compared to the terrible hardship and danger faced by pilgrims even as recently as forty years ago. All Muslims intend to make the pilgrimage to two holy cities in Arabia, Mecca and Medina, at least once in their lifetimes, it was while residing in his native city of Mecca that the Prophet Muhammad, at the age of forty, began to receive the revelation of the Holy Koran, for the next thirteen years the Prophet remained in Mecca, courageously transmitting the divine words and meeting with nonviolence the most violent and bitter persecution from the leaders of the city. After his small group of followers had undergone much suffering, Muhammad finally received permission from Allah to retire to Medina, several hundred miles distant. He lived on earth only ten more years, during which time he received permission from Allah to engage in nineteen battles to defend the freedom of the newly revealed religion. During this exalted period of his residence at Medina, Arabia embraced Islam. 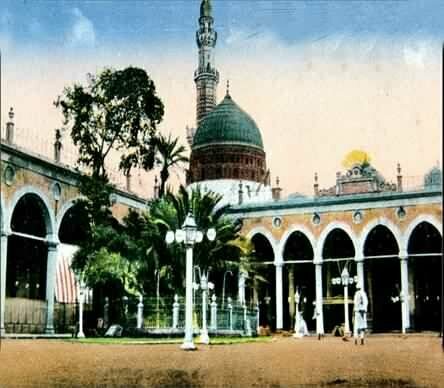 Medina is thus a center of intense spiritual fruitfulness. The noble Muhammad informed his companions that, as the ancient Prophet Abraham had sanctified Mecca by constructing the original Ka’bah, or House of Allah there, just so had he, the contemporary prophet in the lineage of Abraham, specially sanctified Medina with the full revelation of Divine Love. We arrived in Medina by jet in the Muslim year 1400, exactly fourteen thousand centuries after the Holy Prophet had arrive there by camel caravan. The next morning we were to make our dawn prayer in the vast mosque which surrounds the Tomb of the Prophet, located at the humble desert dwelling where the Messenger of God lived his final years of spiritual exultation. I fell asleep at two in the morning, and dreamed that I was permitted to ask the Prophet Muhammad one question about the highest teaching of Islam. I was not able to see the Holy Prophet in my dream, but felt completely confident that my question was being conveyed to him. Only later did I discover that Sheikh Muzaffer had been keeping a nightlong vigil before the Holy Tomb. Suddenly awake, I had been asleep only an hour, but was in such an intense state of wakefulness that I could not even lie down again. The answer to my dream question came to me at this moment of clarity and perfect silence in the desert oasis of Medina, through the Arabic words of a short chapter in the Holy Koran, Sura 112, which reveals the all-embracing oneness and inconceivable completeness of Allah Most High. This Sura teaches that the ultimate Source is not brought into being by any other power, nor does by any being come into being separate from the all-embracing One. The entire universe is composed of the Attributes of Allah praising the Essence of Allah. These highly compressed Arabic verses did not just flash through my mind, but entered my whole being with tremendous impact. As I took ablutions before offering formal prayer, tears of gratitude flooded my eyes. The question had been asked from the Holy Koran and the answer had flowed through the potent Arabic words of the Koran. Everyone present felt the transcendent power of these words spoke through the Sheikh. The spiritual atmosphere of Medina is pure sweetness. Tears of love flow easily at the Tomb of the Prophet and at the tomb of his beloved daughter, Fatima, the holy mother of the faithful. One American dervish inhaled waves of rose fragrance, traditionally in Islam the scent of spiritual perfection, while praying where the Prophet of Allah used to offer his prayers. But traveling to the holy city of Mecca is to enter an entirely different sacred atmosphere. The delicate and intimately mystery of Medina is replaced by an almost terrifying sense of vastness and power. 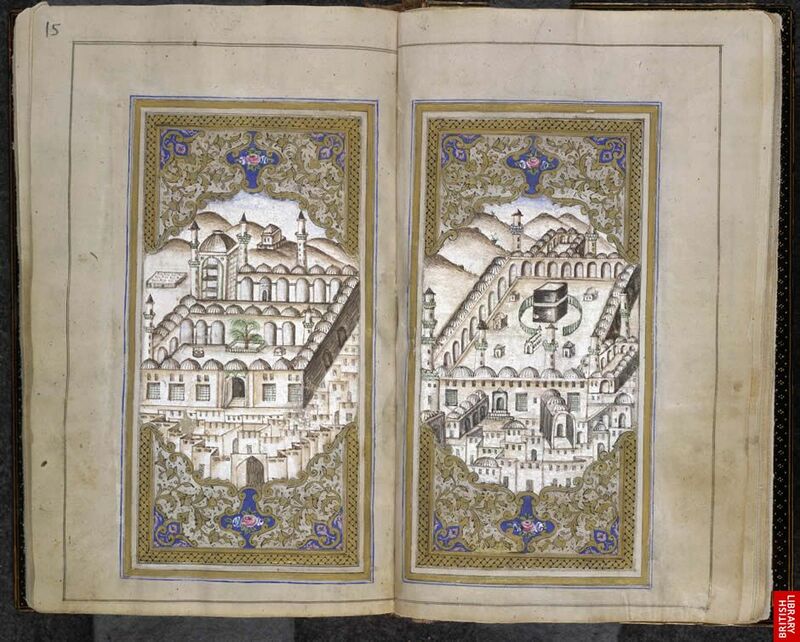 Medina is the transport of love, Mecca the all-consuming fire of knowledge. The overwhelming presence in Mecca of some three million pilgrims, dressed in white shrouds, dead to the world and facing Allah alone, dramatizes the mystical function of the pilgrimage, which allows us, while we are still on earth, to experience death and the Day of Resurrection. During this process, the pilgrims are stripped naked on every level of their being by the awesome Lord of Power. Millions of us camped in tents together the valley of Mina, where in ancient times the Prophet Abraham faced the supreme test from Allah, the Divine Command to sacrifice his most precious object of love. Gazing from rocky and barren hillsides, we could see white tents stretching for many miles. The spiritual mood was intense, as each pilgrim inwardly contemplated Abraham’s willingness to offer to God what was more precious to his own heart. We spent the traditional sunrise to sunset on the barren rock of Mount Arafat, where the Prophet received the final revelation of the Holy Koran shortly before his physical death. Under a few feet of shade on the dusty roadside in 115 degree heat, I clung desperately to my prayer beads, repeating again and again the Arabic words indicating that Allah is the single Source of all Being and Muhammad is His Messenger. I felt that my body and mind has been consumed by the overwhelming brightness of Arafat. The spiritual affirmation, la ilaha ill’allah Muhammad rasul Allah, was all that I had left. Countless vehicles and pilgrims on foot streamed by us as we sat on thin grass mats in the late afternoon sunlight, its harshness softened into golden radiance through the desert dust raised by this nomadic family of three million. Riding home at night on top of our bus, I observed the most impossible tangle of traffic. People left their vehicles, went shopping, prepared and enjoyed their dinners without the slightest forward progress. Yet all were profoundly content. The next night we made our third and farewell Tawaf, consisting of seven circumbulations of the Holy Ka’bah. In the center of the huge white marble courtyard within the grand mosque in Mecca stands the cubic structure, covered with rich black cloth, that represents the axis of the world. Islamic tradition tells us that this sacred cube was first built by the Prophet Adam, was constructed again after millennia by the Prophet Abraham, and was then renewed and rededicated to One God by the Prophet Muhammad. The inspiration of this vast and powerful prophetic lineage tangibly irradiates the atmosphere. Since the ever-present Source is formless, there are no image within or around this shrine. Its radiant blackness symbolizes the unimaginable holy mystery. The Divine Radiance here is too intense to experience as light. The mystic blackness is more luminous than that which exists beneath the surface of the sun. Lost in an ecstatic whirlpool of several hundred thousand human forms, we are drawn closer and closer toward the axis of Being, where the Divine Transcendence fully intersect with our planetary dimensions of existence. Muslims from culture throughout the earth are facing toward this center of the world, the Holy Ka’bah, as they perform their daily prayers, thereby transforming the entire planet into a sacred mosque. Barefoot on cool marble, in the hours after midnight, we were swept round and round this central pole of manifestation. There are no tears, no insights, no visions. The essence of reality revealed here are too transcendent to be rendered into the language of the senses, mind or heart. Only the secret soul knows what is here, that reality which neither words nor even experience can express. The true Ka’bah is none other than the diamond essence of the soul, the Muhammad of Light, the Logos who is simply Allah knowing Allah. Following this final Tawaf, we returned as pure as newborn infants to the school outside Mecca where we were staying. We drank tea, performed the dawn prayer and plunged into sleep. I dreamed for hours that I was repeating, “Ya Salaam, Ya Salaam, Ya Salaam.” – one of the ninety-nine Koranic Names of Allah meaning, “Thou All-Peaceful One.” Drifting into the waking world, I could see my pilgrim brothers asleep on their mats around me and could clearly perceive that Divine Peace was descending not just upon me, but upon them and the whole world. Entering into dream again, I would continue to intone with my whole being, Ya Salaam. And I kiss this wall and that wall. But of the One who dwells in those houses. * Labbaik Allah humma labbaik - Here I am O Lord!